Sachin is a 3rd generation mango farmer from Ratnagiri, where he has one of the biggest land holdings under Alphonso cultivation. 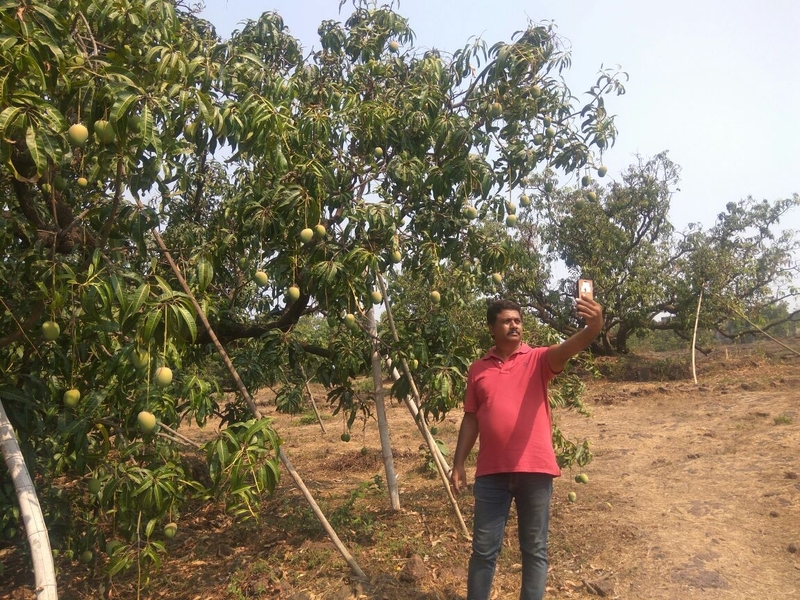 Having old trees and favourable conditions, Sachin is able to naturally grow these mangoes. he does use government recommended spray cycle at the beginning of his harvest, but does not use it before harvesting and claims to have no chemical residue on his fruit. Alphonsos growing at Sachin Langekar's farm have a distinct fragrance and flavour that Ratnagiri Alphonsos are famous for. The old trees and perfect location in terms of soil, water, and sun direction gives fruits from his orchard an upper edge to the other conventional Alphonso growers. The skin of the mango is thin with very little blemishes. The pulp is thicker and less fibrous. These mangoes have a good keeping quality. This variety is similar in all ways to Alphonso Mango Large variety from Sachin's farm, except it is slightly smaller in size.